After a couple of weeks of strange depression, I am finally coming out of my hole. I had to categorize everything in order to figure out why I could not function in my normal standard. One of the subjects that was making me crazy was my lack of desire to drink coffee, and MOST of us know that is an important part of a morning. Months ago I got rid of my countertop espresso maker. After around 12 years of making espresso in a Starbucks machine, it was going nowhere with me. Instead I started using my stovetop European Espresso maker. I only use light roast, for it has the most caffeine. Still, it was bothering me. I have tried every coffee locally you can buy, and even the light roast has a bitter taste somewhere as it passes your tongue. 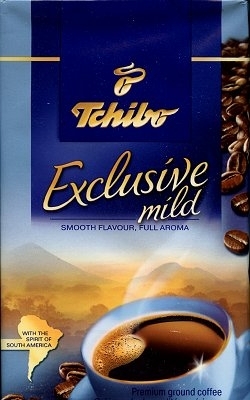 As far as dark roast, besides the fact it has less caffeine, to me, it is like eating a charred steak, YUK!!! HATE IT!! When in New York, the first place we hit was the grocery store to put food in the apartment. I forgot that every grocery store has a European section. When I glanced up at the cofffee's, a stong surge of nostalgia hit me when I saw the Dallmayr coffee. Of course I immediately grabbed it. Sure enough, the next morning I made that coffee and it was like a wisp of clouds flowing past my tongue.....Oh what a wonder! At last! Heavenly coffee. Needless to say I looked forward to every morning. After coming home I was back in my droll state every morning. Going for days without a cup of coffee, for I don't believe one should suffer to get a morning kick, I started searching for the lightest roasts I could find of ANY brand. FINALLY a light bulb went off in my head and I went online and found a site that is nothing but European coffees. I not only bought the ones I know and like, but purchased any of the lightest roasts they had. Mostly from Austria and Germany. When that package hit my doorstep the first thing I did was rip it open and make a spot of coffee. ALAS!!! smooth, light, no bitterness, and no lingering aftertaste! Seriously, there are no coffee's like this here in the great Northwest. Amazing, considering it is a self proclamed coffee capital of the ...........U.S., I guess. It made ponder, I must be out of my mind not to enjoy the way we roast our beans here. The NW takes such amazing pride in thier incredible coffee, and just about everyone that lives here is completely addicted to coffee. You walk into a Starbucks and they go out of thier way to make you feel inferior if you cannot request your coffee with the proper descriptions. I have never understood what the deal is with the super dark, over roasted beans. All I can say is, as American as I am, I wish someone here knew how to make the coffee as well as the good old Europeans. Until then, I will be ordering all of my coffee online.